Jimmy, Guido Zuccon, Bevan Koopman, and Gianluca Demartini. Health Cards for Consumer Health Search. In: The 42nd International ACM SIGIR Conference on Research and Development in Information Retrieval (SIGIR 2019). Paris, France, July 2019. Jie Yang, Alisa Smirnova, Dingqi Yang, Gianluca Demartini, Yuan Lu, and Philippe Cudré-Mauroux. Scalpel-CD: Leveraging Crowdsourcing and Deep Probabilistic Modeling for Debugging Noisy Training Data. In: The Web Conference (WWW 2019). San Francisco, CA, USA, May 2019. Gianluca Demartini. Implicit Bias in Crowdsourced Knowledge Graphs. In: The third international workshop on Augmenting Intelligence with Bias-Aware Humans-in-the-Loop co-located with The Web Conference (WWW 2019). San Francisco, CA, USA, May 2019. Djellel Difallah, Alessandro Checco, Gianluca Demartini, and Philippe Cudré-Mauroux. Deadline-Aware Fair Scheduling for Multi-Tenant Crowd-Powered Systems. In: ACM Transactions on Social Computing, Volume 2, Issue 1, Article No. 3, February 2019. Wasim Ahmed, Peter Bath, Laura Sbaffi, and Gianluca Demartini. Novel insights into views towards H1N1 during the 2009 Pandemic: a thematic analysis of Twitter data. In: Health Information & Libraries Journal, 2019. Lei Han, Kevin Roitero, Ujwal Gadiraju, Cristina Sarasua, Alessandro Checco, Eddy Maddalena, and Gianluca Demartini. All Those Wasted Hours: On Task Abandonment in Crowdsourcing. In: 12th ACM International Conference on Web Search and Data Mining (WSDM 2019). Melbourne, Australia, February 2019. Mengdie Zhuang, Elaine G. Toms, and Gianluca Demartini. Can User Behaviour Sequences Reflect Perceived Novelty?. In: 27th ACM International Conference on Information and Knowledge Management (CIKM 2018). Turin, Italy, October 2018. Kevin Roitero, Gianluca Demartini, Stefano Mizzaro, and Damiano Spina. How Many Truth Levels? Six? One Hundred? Even more? Validating Truthfulness of Statements via Crowdsourcing. In: 2nd International Workshop on Rumours and Deception in Social Media (RDSM) at CIKM 2018. Turin, Italy, October 2018. Kevin Roitero, Eddy Maddalena, Gianluca Demartini, and Stefano Mizzaro. On Fine-Grained Relevance Scales. In: The 41st International ACM SIGIR Conference on Research and Development in Information Retrieval (SIGIR 2018). Ann Harbor, Michigan, July 2018. Jahna Otterbacher, Alessandro Checco, Gianluca Demartini, and Paul Clough. Investigating User Perception of Gender Bias in Image Search: The Role of Sexism. In: The 41st International ACM SIGIR Conference on Research and Development in Information Retrieval (SIGIR 2018). Ann Harbor, Michigan, July 2018. Jimmy, Guido Zuccon, and Gianluca Demartini. On the Volatility of Commercial Search Engines and its Impact on Information Retrieval Research. In: The 41st International ACM SIGIR Conference on Research and Development in Information Retrieval (SIGIR 2018). Ann Harbor, Michigan, July 2018. Alessandro Checco, Jo Bates, and Gianluca Demartini. All That Glitters is Gold -- An Attack Scheme on Gold Questions in Crowdsourcing. In: The 6th AAAI Conference on Human Computation and Crowdsourcing (HCOMP 2018). Zurich, Switzerland, July 2018. Best paper award (Top 1%). Ujwal Gadiraju, Gianluca Demartini, Ricardo Kawase and Stefan Dietze. Crowd Anatomy Beyond the Good and Bad: Behavioral Traces for Crowd Worker Modeling and Pre-selection. In: Computer Supported Cooperative Work (CSCW) Special Issue on Crowd Dynamics: Conflicts, Contradictions, and Cooperation Issues in Crowdsourcing, Springer, 2018. Cristina Sarasua, Alessandro Checco, Gianluca Demartini, Djellel Difallah, Michael Feldman, and Lydia Pintscher. The Evolution of Power and Standard Wikidata Editors: Comparing Editing Behavior over Time to Predict Lifespan and Volume of Edits. In: Computer Supported Cooperative Work (CSCW) Special Issue on Crowd Dynamics: Conflicts, Contradictions, and Cooperation Issues in Crowdsourcing, Springer, 2018. Wasim Ahmed, Peter Bath, Laura Sbaffi, and Gianluca Demartini. Moral Panic through the Lens of Twitter: An Analysis of Infectious Disease Outbreaks. In: 9th International Conference on Social Media & Society, Work-in-progress track. Copenhagen, Denmark, July 2018. Gianluca Demartini. Semantic Interlinking. In: Encyclopedia of Big Data Technologies. 2018. Wasim Ahmed, Peter Bath, Laura Sbaffi, and Gianluca Demartini. Measuring the Effect of Public Health Campaigns on Twitter: The Case of World Autism Awareness Day. In: iConference 2018. Sheffield, UK, March 2018. Gianluca Demartini, Djellel Eddine Difallah, Ujwal Gadiraju, and Michele Catasta. An Introduction to Hybrid Human-Machine Information Systems. In: Foundation and Trends in Web Science Vol. 7: No. 1, pp 1-87. 2017. Wasim Ahmed, Peter A. Bath, Gianluca Demartini. Using Twitter as a data source: An overview of ethical, legal and methodological challenges. In: The Ethics of Online Research, 79-107, Emerald. December 2017. Mengdie Zhuang, Gianluca Demartini, and Elaine G. Toms. Understanding Engagement through Searching Behaviour. In: 26th ACM International Conference on Information and Knowledge Management (CIKM 2017). Singapore, November 2017. Alessandro Checco, Kevin Roitero, Eddy Maddalena, Stefano Mizzaro, and Gianluca Demartini. Let's Agree to Disagree: Fixing Agreement Measures for Crowdsourcing. In: The 5th AAAI Conference on Human Computation and Crowdsourcing (HCOMP 2017). Quebec City, Canada, October 2017. Eddy Maddalena, Kevin Roitero, Gianluca Demartini, and Stefano Mizzaro. Considering Assessor Agreement in IR Evaluation. In: The 3rd ACM International Conference on the Theory of Information Retrieval (ICTIR 2017). Amsterdam, The Netherlands, October 2017. Alessandro Checco and Gianluca Demartini. Para Bellum - Breaking Gold Questions Quality Assurance Systems in Paid Micro-task Crowdsourcing. In: 2017 Workshop on Hybrid Human-Machine Computing (HHMC 2017). Guildford, UK, September 2017. Ujwal Gadiraju, Alessandro Checco, Neha Gupta, and Gianluca Demartini. Modus Operandi of Crowd Workers: The Invisible Role of Microtask Work Environments. In: Proceedings of the ACM on Interactive, Mobile, Wearable and Ubiquitous Technologies (IMWUT) presented at The ACM International Joint Conference on Pervasive and Ubiquitous Computing (UBICOMP 2017). Maui, Hawaii, September 2017. Alessandro Checco, Gianluca Demartini, Alexander Löser, Ines Arous, Matthias Dantone, Richard Koopmanschap, Svetlin Stalinov, Martin Kersten, and Ying Zhang. FashionBrain Project: A Vision for Understanding Europe's Fashion Data Universe. In: 'Machine learning meets fashion' workshop at KDD 2017. Halifax, Nova Scotia, Canada, August 2017. Wasim Ahmed, Gianluca Demartini, and Peter Bath. Topics Discussed on Twitter at the Beginning of the 2014 Ebola Epidemic in United States. In: iConference 2017. Wuhan, China, March 2017. Eddy Maddalena, Marco Basaldella, Dario De Nart, Dante Degl'Innocenti, Stefano Mizzaro, and Gianluca Demartini. Crowdsourcing Relevance Assessments: The Unexpected Benefits of Limiting the Time to Judge. In: The 4th AAAI Conference on Human Computation and Crowdsourcing (HCOMP 2016). Austin, Texas, November 2016. Jie Yang, Judith Redi, Gianluca Demartini, and Alessandro Bozzon. Modeling Task Complexity in Crowdsourcing. In: The 4th AAAI Conference on Human Computation and Crowdsourcing (HCOMP 2016). Austin, Texas, November 2016. Muhammad Helmy, Marco Basaldella, Eddy Maddalena, Stefano Mizzaro, and Gianluca Demartini. Towards Building a Standard Dataset for Arabic Keyphrase Extraction Evaluation. In: The 20th International Conference on Asian Language Processing (IALP 2016). Taiwan, November 2016. Gianluca Demartini. A Tutorial on Leveraging Knowledge Graphs for Web Search. In: Communications in Computer and Information Science, Volume 573, Pages 24-37. Information Retrieval 9th Russian Summer School, RuSSIR 2015 Saint Petersburg, Russia, August 24-28, 2015. Revised Selected Papers. Springer. Mengdie Zhuang, Elaine G. Toms, and Gianluca Demartini. Search Behaviour Before and After Search Success. In: Workshop on Search as Learning (SAL 2016) at SIGIR 2016. Pisa, Italy, July 2016. Paul Clough, Philip Webster, Gianluca Demartini, Sonia Ranade, and Tom Storrar. Exploring Entity-Centric Methods in the UK Government Web Archive. In: Workshop on Accessing Cultural Heritage at Scale (ACHS 2016) at JCDL 2016. Newark, New Jersey, USA, June 2016. Djellel Eddine Difallah, Gianluca Demartini, and Philippe Cudré-Mauroux. Scheduling Human Intelligence Tasks in Multi-Tenant Crowd-Powered Systems. In: 25th International Conference on World Wide Web (WWW 2016), Research Track. Montreal, Canada, April 2016. Mengdie Zhuang, Elaine G. Toms, and Gianluca Demartini. The Relationship between User Perception and User Behaviour in Interactive Information Retrieval Evaluation. In: 38th European Conference on Information Retrieval (ECIR 2016). Padua, Italy, March 2016. Best Paper Award. Alberto Tonon, Michele Catasta, Roman Prokofyev, Gianluca Demartini, Karl Aberer, and Philippe Cudré-Mauroux. Contextualized Ranking of Entity Types based on Knowledge Graphs. In: Journal of Web Semantics, Volumes 37-38, Pages 170-183, Elsevier. March 2016. Alberto Tonon, Gianluca Demartini, and Philippe Cudré-Mauroux. Pooling-Based Continuous Evaluation of Information Retrieval Systems. In: Information Retrieval, Volume 18, Issue 5 (2015), Page 445-472, Springer. Gianluca Demartini. Hybrid Human-Machine Information Systems: Challenges and Opportunities. In: Computer Networks, Special Issue on Crowdsourcing, Volume 90, page 5-13 (2015), Elsevier. Ujwal Gadiraju, Gianluca Demartini, Ricardo Kawase, and Stefan Dietze. Human beyond the Machine: Challenges and Opportunities of Microtask Crowdsourcing. In: IEEE Intelligent Systems, Volume 30 Issue 4 - Jul/Aug 2015. Alberto Tonon, Michele Catasta, Gianluca Demartini, and Philippe Cudré-Mauroux. Fixing the Domain and Range of Properties in Linked Data by Context Disambiguation. In: The 8th Workshop on Linked Data on the Web (LDOW2015) at WWW2015. Firenze, Italy, May 2015. Djellel Eddine Difallah, Michele Catasta, Gianluca Demartini, Panagiotis G. Ipeirotis, and Philippe Cudré-Mauroux. The Dynamics of Micro-Task Crowdsourcing -- The Case of Amazon MTurk. In: 24th International Conference on World Wide Web (WWW 2015), Research Track. Firenze, Italy, May 2015. Ujwal Gadiraju, Ricardo Kawase, Stefan Dietze, and Gianluca Demartini. Understanding Malicious Behaviour in Crowdsourcing Platforms: The Case of Online Surveys. In: Proceedings of the ACM Special Interest Group on Computer Human Interaction (CHI 2015). Seoul, South Korea, April 2015. Roman Prokofyev, Ruslan Mavlyutov, Martin Grund, Gianluca Demartini, and Philippe Cudré-Mauroux. Correct Me If I'm Wrong: Fixing Grammatical Errors by Preposition Ranking. In: 23rd ACM International Conference on Information and Knowledge Management (CIKM 2014). Shanghai, China, November 2014. Djellel Eddine Difallah, Michele Catasta, Gianluca Demartini, and Philippe Cudré-Mauroux. Scaling-up the Crowd: Micro-Task Pricing Schemes for Worker Retention and Latency Improvement. In: Second AAAI Conference on Human Computation and Crowdsourcing (HCOMP-2014). Pittsburgh, USA, November 2014. Michele Catasta, Alberto Tonon, Djellel Eddine Difallah, Gianluca Demartini, Karl Aberer, and Philippe Cudré-Mauroux. TransactiveDB: Tapping into Collective Human Memories. In: 40th International Conference on Very Large Data Bases (VLDB). PVLDB Volume 7 Issue 14. Hangzhou, China, September 2014. Michele Catasta, Alberto Tonon, Gianluca Demartini, Jean-Eudes Ranvier, Karl Aberer, and Philippe Cudré-Mauroux. B-hist: Entity-Centric Search over Personal Web Browsing History. In: Journal of Web Semantics, Elsevier. July 2014. Roman Prokofyev, Gianluca Demartini, and Philippe Cudré-Mauroux. Effective Named Entity Recognition for Idiosyncratic Web Collections. In: 23rd International Conference on World Wide Web (WWW 2014), Research Track. Seoul, South Korea, April 2014. Michele Catasta, Alberto Tonon, Djellel Eddine Difallah, Gianluca Demartini, Karl Aberer, and Philippe Cudré-Mauroux. Hippocampus: Answering Memory Queries using Transactive Search. In: 23rd International Conference on World Wide Web (WWW 2014), Web Science Track. Seoul, South Korea, April 2014. Alberto Tonon, Michele Catasta, Gianluca Demartini, Philippe Cudré-Mauroux, and Karl Aberer. TRank: Ranking Entity Types Using the Web of Data. In: The 12th International Semantic Web Conference (ISWC 2013). Sydney, Australia, October 2013. Best Paper Award Nominee. Gianluca Demartini, Djellel Eddine Difallah, and Philippe Cudré-Mauroux. Large-Scale Linked Data Integration Using Probabilistic Reasoning and Crowdsourcing. In: VLDB Journal, Volume 22, Issue 5 (2013), Page 665-687, Special issue on Structured, Social and Crowd-sourced Data on the Web. October 2013. Mariusz Wisniewski, Gianluca Demartini, Apostolos Malatras, and Philippe Cudré-Mauroux. NoizCrowd: A Crowd-Based Data Gathering and Management System for Noise Level Data. In: 10th International Conference on Mobile Web Information Systems (MobiWIS 2013), Paphos, Cyprus, August 2013. Surender Reddy Yerva, Michele Catasta, Gianluca Demartini, and Karl Aberer. Entity Disambiguation in Tweets leveraging User Social Profiles. In: 14th IEEE Intl. Conference on Information Reuse and Integration (IEEE IRI 2013), Invited Paper, San Francisco, CA, USA, August 2013. Djellel Eddine Difallah, Gianluca Demartini, and Philippe Cudré-Mauroux. Pick-A-Crowd: Tell Me What You Like, and I'll Tell You What to Do. In: 22nd International Conference on World Wide Web (WWW 2013), Research Track. Rio de Janeiro, Brazil, May 2013. Roman Prokofyev, Gianluca Demartini, Philippe Cudré-Mauroux, Alexey Boyarsky, and Oleg Ruchayskiy. Ontology-Based Word Sense Disambiguation in the Scientific Domain. In: 35th European Conference on Information Retrieval (ECIR 2013), Moscow, Russia, March 2013. Gianluca Demartini, Beth Trushkowsky, Tim Kraska, and Michael Franklin. CrowdQ: Crowdsourced Query Understanding. In: 6th Biennial Conference on Innovative Data Systems Research (CIDR 2013), Asilomar, California, January 2013. Gianluca Demartini, Iliya Enchev, Joël Gapany, and Philippe Cudré-Mauroux. The Bowlogna Ontology: Fostering Open Curricula and Agile Knowledge Bases for Europe's Higher Education Landscape. In: Semantic Web - Interoperability, Usability, Applicability. 4(1): 53-63, IOS Press, January 2013. Roman Prokofyev, Alexey Boyarsky, Oleg Ruchayskiy, Karl Aberer, Gianluca Demartini, and Philippe Cudré-Mauroux. Tag Recommendation for Large-Scale Ontology-Based Information Systems. In: 11th International Semantic Web Conference (ISWC 2012 - Evaluations and Experiments Track), Boston, MA, USA, November 2012. Gianluca Demartini, Iliya Enchev, Marcin Wylot, Joël Gapany, and Philippe Cudré-Mauroux. BowlognaBench-Benchmarking RDF Analytics. In: Data-Driven Process Discovery and Analysis, Lecture Notes in Business Information Processing, Vol. 116, October 2012. Alberto Tonon, Gianluca Demartini, and Philippe Cudré-Mauroux. Combining Inverted Indices and Structured Search for Ad-hoc Object Retrieval. In: 35th Annual ACM SIGIR Conference (SIGIR 2012), Portland, Oregon, USA, August 2012. Philippe Cudré-Mauroux, Gianluca Demartini, Iliya Enchev, Christophe Guéret, and Benoit Perroud. Downscaling Entity Registries for Ad-Hoc Environments. In: First International Workshop on Downscaling the Semantic Web co-located with the 9th Extended Semantic Web conference, Heraklion, Greece, May 2012. Gianluca Demartini, Djellel Eddine Difallah, and Philippe Cudré-Mauroux. ZenCrowd: Leveraging Probabilistic Reasoning and Crowdsourcing Techniques for Large-Scale Entity Linking. In: 21st International Conference on World Wide Web (WWW 2012), Research Track. Lyon, France, April 2012. Djellel Eddine Difallah, Gianluca Demartini, and Philippe Cudré-Mauroux. Mechanical Cheat: Spamming Schemes and Adversarial Techniques on Crowdsourcing Platforms. In: The First International Workshop on Crowdsourcing Web search (CrowdSearch 2012) at WWW 2012, Lyon, France, April 2012. Julien Gaugaz, Patrick Siehndel, Gianluca Demartini, Tereza Iofciu, Mihai Georgescu, and Nicola Henze. Predicting the Future Impact of News Events. In: 34th European Conference on Information Retrieval (ECIR 2012), Barcelona, Spain, April 2012. Karl Aberer, Alexey Boyarsky, Philippe Cudré-Mauroux, Gianluca Demartini, and Oleg Ruchayskiy. An Integrated Socio-Technical Crowdsourcing Platform for Accelerating Returns in eScience. In: 10th International Semantic Web Conference (ISWC 2011 - Outrageous Ideas), Bonn, Germany, October 2011. 2nd most Outrageous Idea. Karl Aberer, Alexey Boyarsky, Philippe Cudré-Mauroux, Gianluca Demartini, and Oleg Ruchayskiy. ScienceWISE: A Web-based Interactive Semantic Platform for Scientific Collaboration. In: 10th International Semantic Web Conference (ISWC 2011 - Demo), Bonn, Germany, October 2011. Best Demo Award. Philippe Cudré-Mauroux, Gianluca Demartini, Djellel Eddine Difallah, Ahmed Elsayed Mostafa, Vincenzo Russo, and Matthew Thomas. A Demonstration of DNS3: a Semantic-Aware DNS Service. In: 10th International Semantic Web Conference (ISWC 2011 - Demo), Bonn, Germany, October 2011. Gianluca Demartini, Iliya Enchev, Joël Gapany, and Philippe Cudré-Mauroux. BowlognaBench-Benchmarking RDF Analytics. In: First International Symposium on Data-driven Process Discovery and Analysis (SIMPDA 2011), Campione d'Italia, Italy, June 2011. Gianluca Demartini. From People to Entities: Typed Search in the Enterprise and the Web. In: SIGIR Forum, June, 2011, Volume 45 Number 1, pp 73. Gianluca Demartini, Stefan Siersdorfer, Sergiu Chelaru, and Wolfgang Nejdl. Analyzing Political Trends in the Blogosphere. In: Fifth International AAAI Conference on Weblogs and Social Media (ICWSM 2011), Barcelona, Spain, July 2011. Ralf Krestel, Gianluca Demartini, and Eelco Herder. Visual Interfaces for Stimulating Exploratory Search. In: ACM/IEEE Joint Conference on Digital Libraries (JCDL 2011), Ottawa, Canada, June 2011. Tereza Iofciu, Gianluca Demartini, Nick Craswell, and Arjen P. de Vries. ReFER: effective Relevance Feedback for Entity Ranking. In: 33rd European Conference on Information Retrieval (ECIR 2011), Dublin, Ireland, April 2011. Gianluca Demartini. ARES: A Retrieval Engine based on Sentiments - Sentiment-based Search Result Annotation and Diversification. In: 33rd European Conference on Information Retrieval (ECIR 2011 - Demo), Dublin, Ireland, April 2011. George Papadakis, Gianluca Demartini, Philipp Kärger, and Peter Fankhauser. The	Missing Links: Discovering Hidden Same-as Links among a Billion of Triples. In: The 12th International Conference on Information Integration and Web-based Applications & Services (iiWAS2010), Paris, France, November, 2010. Gianluca Demartini, Malik Muhammad Saad Missen, Roi Blanco, and Hugo Zaragoza. TAER: Time Aware Entity Retrieval. In: The 19th ACM International Conference on Information and Knowledge Management (CIKM 2010), Toronto, Canada, October, 2010. Bodo Billerbeck, Gianluca Demartini, Claudiu S. Firan, Tereza Iofciu, and Ralf Krestel. Ranking Entities Using Web Search Query Logs. In: 14th European Conference on Research and Advanced Technology for Digital Libraries (ECDL 2010), Glasgow, Scotland, September, 2010. Gianluca Demartini, Claudiu S. Firan, Tereza Iofciu, Ralf Krestel, and Wolfgang Nejdl. Why Finding Entities in Wikipedia is Difficult, Sometimes. In: "Information Retrieval" 13(5): 534-567, Special Issue on Focused Retrieval and Result Aggregation, Springer, October, 2010. Gianluca Demartini, Malik Muhammad Saad Missen, Roi Blanco, and Hugo Zaragoza. Entity Summarization of News Articles. In: 33rd Annual ACM SIGIR Conference (SIGIR 2010 poster session), Geneva, Switzerland, July, 2010. Bodo Billerbeck, Gianluca Demartini, Claudiu S. Firan, Tereza Iofciu, and Ralf Krestel. Exploiting Click-Through Data for Entity Retrieval. In: 33rd Annual ACM SIGIR Conference (SIGIR 2010 poster session), Geneva, Switzerland, July, 2010. T. Beckers, P. Bellot, G. Demartini, L. Denoyer, C.M. De Vries, A. Doucet, K.N. Fachry, N. Fuhr, P. Gallinari, S. Geva, W.-C. Huang, T. Iofciu, J. Kamps, G. Kazai, M. Koolen, S. Kutty, M. Landoni, M. Lehtonen, V. Moriceau, R. Nayak, R. Nordlie, N. Pharo, E. San Juan, R. Schenkel, X. Tannier, M. Theobald, J.A. Thom, A. Trotman and A.P. de Vries. Report on INEX 2009. In: SIGIR Forum, June, 2010, Volume 44 Number 1, pp 38-56. Gianluca Demartini and Stefan Siersdorfer. Dear Search Engine: What's your opinion about...? - Sentiment Analysis for Semantic Enrichment of Web Search Results. In: Semantic Search 2010 Workshop located at the 19th Int. World Wide Web Conference WWW2010, Raleigh, NC, USA, April, 2010. Enrico Minack, Raluca Paiu, Stefania Costache, Gianluca Demartini, Julien Gaugaz, Ekaterini Ioannou, Paul-Alexandru Chirita, and Wolfgang Nejdl. Leveraging Personal Metadata for Desktop Search: The Beagle++ System. In: "Journal of Web Semantics" 8(1): 37-54, Elsevier, March, 2010. Gianluca Demartini, Tereza Iofciu, and Arjen P. de Vries. Overview of the INEX 2009 Entity Ranking Track. In: 8th International Workshop of the Initiative for the Evaluation of XML Retrieval, INEX 2009 Brisbane, Australia, December, 2009. Enrico Minack, Gianluca Demartini, and Wolfgang Nejdl. Current Approaches to Search Result Diversification. In: "1st International Workshop on Living Web: Making Web Diversity a true asset" at ISWC 2009, Washington DC, USA, October, 2009. Gianluca Demartini, Claudiu S. Firan, Mihai Georgescu, Tereza Iofciu, Ralf Krestel, and Wolfgang Nejdl. An Architecture for Finding Entities on the Web. In: 7th Latin American Web Congress (LA-WEB 2009), Mérida, Yucatan, México, November, 2009. 3rd Best Paper Award. Tereza Iofciu and Gianluca Demartini. Time based Tag Recommendation using Direct and Extended Users Sets. In: ECML PKDD Discovery Challenge 2009, Bled, Slovenia, September, 2009. Gianluca Demartini, Ludovic Denoyer, Antoine Doucet, Khairun Nisa Fachry, Patrick Gallinari, Shlomo Geva, Wei-Che Huang, Tereza Iofciu, Jaap Kamps, Gabriella Kazai, Marijn Koolen,	Monica Landoni, Ragnar Nordlie, Nils Pharo, Ralf Schenkel, Martin Theobald, Andrew Trotman, Arjen P. de Vries, Alan Woodley, Jianhan Zhu. Report on INEX 2008. In: SIGIR Forum, June, 2009, Volume 43 Number 1, pp 22-28. Julien Gaugaz, Jakub Zakrzewski, Gianluca Demartini, and Wolfgang Nejdl. How to Trace and Revise Identities. In: 6th Annual European Semantic Web Conference (ESWC2009), Heraklion,	Greece, June, 2009. Gianluca Demartini, Julien Gaugaz, and Wolfgang Nejdl. A Vector Space Model for Ranking Entities and Its Application to Expert Search. In:	31st European Conference on Information Retrieval (ECIR 2009), Toulouse, France, April, 2009. Gianluca Demartini, Arjen P. de Vries, Tereza Iofciu, and Jianhan Zhu. Overview of	the INEX 2008 Entity Ranking Track. In: 7th International Workshop of the Initiative for the Evaluation of XML Retrieval, INEX 2008, Dagstuhl Castle, Germany, December, 2008. Nick Craswell, Gianluca Demartini, Julien Gaugaz, and Tereza Iofciu. L3S at INEX 2008: Retrieving Entities using Structured Information. In: 7th International Workshop of the Initiative for the Evaluation of XML Retrieval, INEX 2008 Dagstuhl Castle, Germany, December, 2008. Rodolfo Stecher, Gianluca Demartini, and Claudia Niederée. Social Recommendations of Content and Metadata. In: 10th International Conference on Information Integration and Web-based Applications & Services (iiWAS2008), Linz, Austria, November, 2008. Gianluca Demartini and Claudia Niederée. Finding Experts on the Semantic Desktop. In: Personal Identification and Collaborations: Knowledge Mediation and	Extraction (PICKME 2008) Workshop at ISWC 2008, Karlsruhe, Germany, October, 2008. Gianluca Demartini, Claudiu S. Firan, Tereza Iofciu, Ralf Krestel, and Wolfgang Nejdl. A Model for Ranking Entities and Its Application to	Wikipedia. In: 6th Latin American Web Congress (LA-WEB 2008), Vila Velha, Espirito Santo, Brasil, October, 2008. Gianluca Demartini, Claudiu S. Firan, Tereza Iofciu, and Wolfgang Nejdl. Semantically Enhanced Entity Ranking. In: The Ninth International	Conference on Web Information Systems Engineering (WISE 2008), Auckland, New Zealand, September, 2008. Jianhan Zhu, Arjen P. de Vries, Gianluca Demartini, and Tereza Iofciu. Evaluating Relation Retrieval for Entities and Experts. In: Future Challenges in Expertise Retrieval (fCHER 2008), SIGIR 2008 Workshop, Singapore, July, 2008. Julien Gaugaz and Gianluca Demartini. Entity Identifiers for Lineage Preservation. In: 1st international workshop on Identity and Reference on the	Semantic Web (IRSW2008) hosted by the 5th European Semantic Web	Conference ESWC-08, Tenerife, Spain, June, 2008. Gianluca Demartini. Comparing People in the Enterprise. In: 10th International Conference on Enterprise Information Systems, ICEIS 2008, Barcelona, Spain, June, 2008. Gianluca Demartini. How	Many Experts? - A New Task for Enterprise Search Evaluation. In: Workshop on Novel Methodologies for Evaluation in Information Retrieval at the 30th European Conference on IR Research, ECIR 2008, Glasgow, Scotland, April, 2008. Gianluca Demartini, Paul-Alexandru Chirita, Ingo Brunkhorst, and Wolfgang Nejdl. Ranking Categories for Web Search. In: Advances in Information Retrieval, 30th European Conference on IR Research, ECIR 2008, Glasgow, Scotland, April, 2008. Sergey Chernov, Gianluca Demartini, Eelco Herder, Michał Kopycki, and Wolfgang Nejdl. Evaluating Personal Information Management Using an	Activity Logs Enriched Desktop Dataset. In: "Personal Information Management Workshop at CHI 2008" PIM 2008, Florence, Italy, April, 2008. Gianluca Demartini, Claudiu S.Firan, and Tereza Iofciu. L3S at INEX 2007: Query	Expansion for Entity Ranking Using a Highly Accurate Ontology. In: "Focused Access to XML Documents", 6th International Workshop of the Initiative for the Evaluation of XML Retrieval, INEX	2007, Dagstuhl Castle, Germany, December, 2007. Selected Papers. Gianluca Demartini. Finding	Experts Using Wikipedia. In: "Finding Experts on the Web with Semantics Workshop at ISWC 2007 + ASWC 2007" FEWS 2007, Busan, South Korea, November, 2007. Gianluca Demartini. Leveraging Semantic Technologies for Enterprise Search. In: "First Ph.D. Workshop in CIKM" PIKM 2007, Lisboa, Portugal, November, 2007. Sergey Chernov, Pavel Serdyukov, Paul-Alexandru	Chirita, Gianluca Demartini, and Wolfgang Nejdl. Building a Desktop Search Test-bed. In: Advances in Information Retrieval, 29th European Conference on IR Research, ECIR 2007, Rome, Italy, April, 2007. LNCS 4425, pp. 686-690. Vincenzo Della Mea, Gianluca Demartini, Luca Di	Gaspero, and Stefano Mizzaro. Measuring Retrieval Effectiveness with Average Distance Measure (ADM). Information Wissenschaft und Praxis, 57(8):433-443, 2006. Gianluca Demartini and Stefano Mizzaro. A Classification of IR Effectiveness Metrics. In: Advances in Information Retrieval, 28th European Conference on IR Research, ECIR 2006, London, UK, April, 2006. LNCS 3936, pp. 488-491. Vincenzo Della Mea, Gianluca Demartini, Luca Di	Gaspero, and Stefano Mizzaro. Experiments on Average Distance Measure. In: Advances in Information	Retrieval, 28th European Conference on IR Research, ECIR 2006, London, UK, April, 2006. LNCS 3936, pp. 492-495. Dr. Gianluca Demartini is a Senior Lecturer in Data Science at the University of Queensland, School of Information Technology and Electrical Engineering. His main research interests are Information Retrieval, Semantic Web, and Human Computation. His research has been supported by the Australian Research Council (ARC), the UK Engineering and Physical Sciences Research Council (EPSRC), and by the EU H2020 framework program. 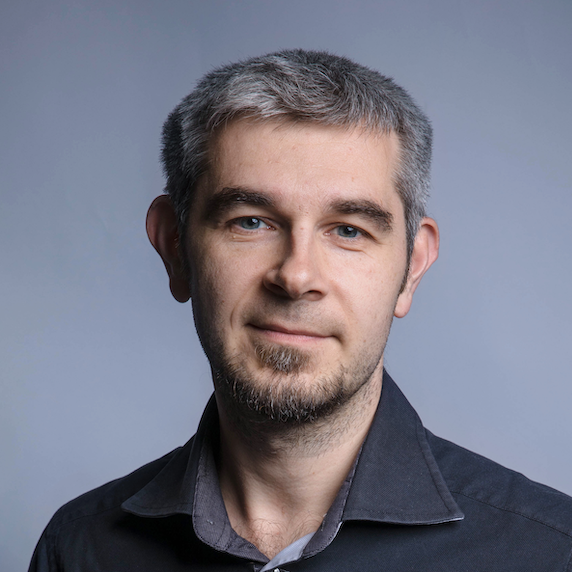 He received Best Paper Awards at the AAAI Conference on Human Computation and Crowdsourcing (HCOMP) in 2018 and at the European Conference on Information Retrieval (ECIR) in 2016 and the Best Demo Award at the International Semantic Web Conference (ISWC) in 2011. He has published more than 100 peer-reviewed scientific publications (10 of which in venues with acceptance rate lower than 20%) including papers at major venues such as WWW, ACM SIGIR, VLDBJ, ISWC, and ACM CHI. He has given several invited talks, tutorials, and keynotes at a number of academic conferences (e.g., ISWC, ICWSM, WebScience, and the RuSSIR Summer School), companies (e.g., Facebook), and Dagstuhl seminars. He is an ACM Distinguished Speaker since 2015. He serves as area editor for the Journal of Web Semantics, editorial board member for the Information Retrieval journal, as Crowdsourcing and Human Computation Track co-Chair at WWW 2018, and as Student Coordinator at ISWC 2017. He has been Senior Program Committee member for the AAAI Conference on Human Computation and Crowdsourcing (HCOMP), the International Conference on Web Engineering (ICWE), and the ACM International Conference on Information and Knowledge Management (CIKM). He is Program Committee member for several conferences including WWW, SIGIR, KDD, IJCAI, ISWC, and ICWSM. He was co-chair for the Human Computation and Crowdsourcing Track at ESWC 2015. He co-organized the Entity Ranking Track at the Initiative for the Evaluation of XML Retrieval in 2008 and 2009. Before joining the University of Queensland, he was Lecturer at the University of Sheffield in UK, post-doctoral researcher at the eXascale Infolab at the University of Fribourg in Switzerland, visiting researcher at UC Berkeley, junior researcher at the L3S Research Center in Germany, and intern at Yahoo! Research in Spain. In 2011, he obtained a Ph.D. in Computer Science at the Leibniz University of Hanover focusing on Semantic Search.